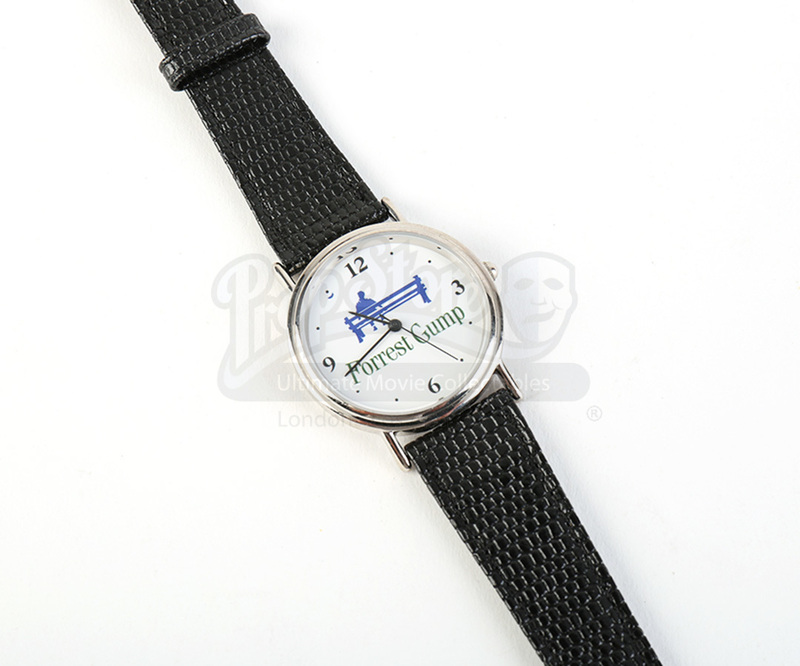 A crew watch from the 1994 hit drama, Forrest Gump. In the film, Gump (Tom Hanks) retells adventures ranging from shrimp boating and ping pong championships, to thinking about his childhood love, as he bumbles his way through American history, with everything from the Vietnam War to college football becoming part of the story. 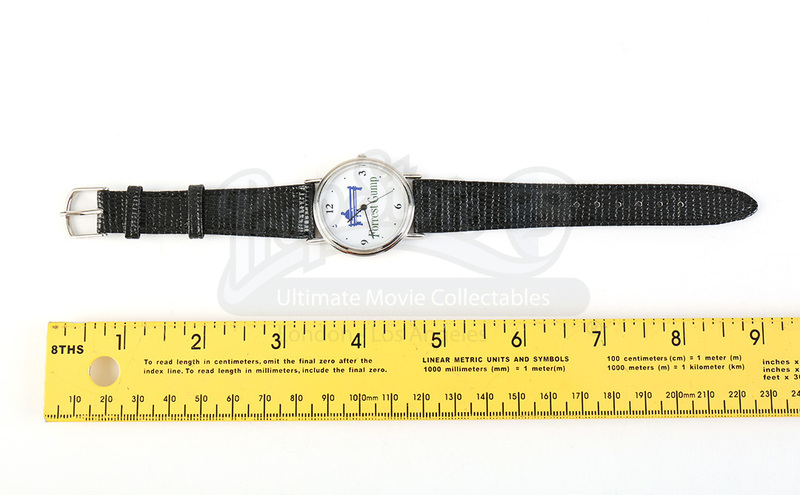 Gifted to the crew, this piece features a watch face with the title logo and a silhouette of Gump on the bus stop bench. 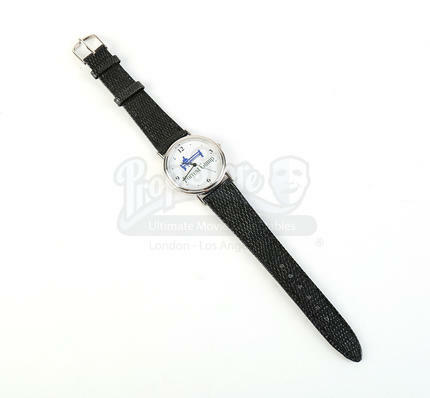 This watch includes a genuine black leather band and it remains in overall great condition, however, it's functionality remains untested.